Home improvements to your property, whether it be on the inside or outside, can be extremely therapeutic and self-rewarding. Installing those flowerbeds, refurbishing your lounge or possibly even considering installing a garden room. 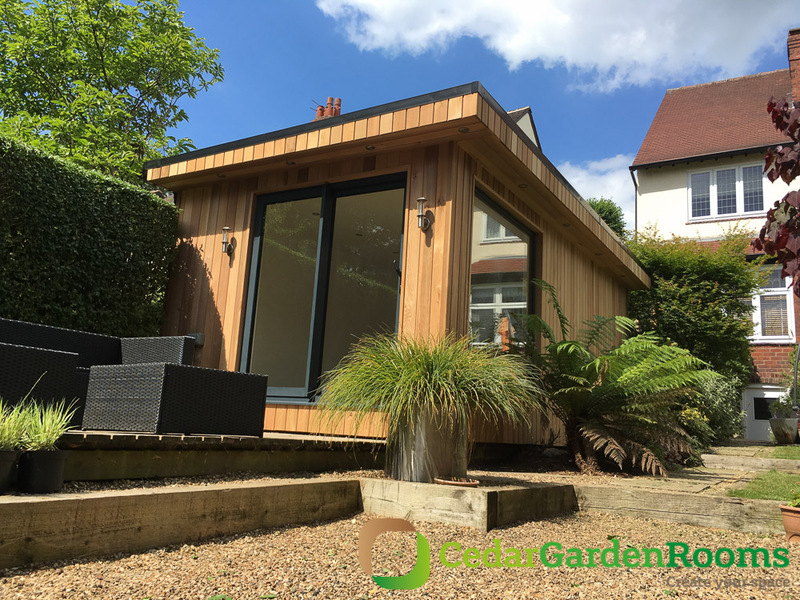 Garden rooms can really accentuate the mood you’re looking for when it comes to your garden, not to mention the benefits they can bring! A safe space for you to work in, especially if you do work from home. But these spaces can also come with an array of questions. What décor do I implement? Are garden rooms safe and secure? One question that is most important is whether you need planning permission for garden rooms. So let’s find out! In short, garden rooms are classified as ‘permitted development’ and therefore do not require planning permission. However, there are a few criteria you need to meet in order to avoid going through your local authority for permission. First of all, garden rooms can be placed both under and over 2 metres from the boundary of the property. If you place your garden room under 2 metres, the overall height must not exceed 2.5 metres. If your garden room is situated over 2 metres from the boundary, the eave height must not exceed 2.5m. In either case, that’s just over 8ft, so any tall people need not worry about banging their heads off the beams! One other regulation you must abide by to avoid planning permission is that the garden room must not be used as a self-contained living area or contain an antenna. Other than that, you’re good to go to install one on your own free will! Bluntly put, if your garden room exceeds any of the criteria listed above, then planning permission will be required. However, there are special considerations where even if you abide by the criteria above, permission may still be required before any construction is carried out. Listed buildings are properties which are judged by Historic England and the Secretary of State to have national importance in terms of historic interest. If you live in a property with such accreditations, then any external constructions will need both planning permission and listed building consent. Designated land is another special consideration. If you live on areas such as national parks, heritage sites or conservation areas. Where conservation areas are concerned, you cannot have a garden room to the side without first seeking planning permission beforehand. If you have any questions you can always contact your local authorities or, if you prefer, the team here at Cedar Garden Rooms can give you the advice you’re looking for.